Some believe that the Egyptian civilization preserved the heritage of the Atlanteans - a race of demigods that inhabited the Earth before humans. 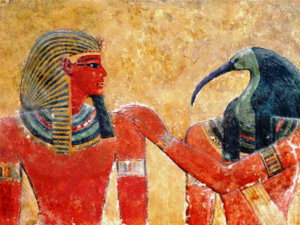 From the Atlanteans, the Egyptians may have learned many of their esoteric practices and rituals. Most recent articles and themes about Ancient egyptians. Find out about mysteries, stories along with handy advice about Ancient egyptians. Obtain the most recent publications as well as write ups when it comes to Ancient egyptians. The cat is considered a sacred animal and not only by the ancient Egyptians. They are most strongly associated with the cat goddess Bastet. Thick painted eyes of the ancient Egyptians were not only beauty but also a healthy goal. It was therefore considered that the make-up of Cleopatra and her subordinate was harmful. Tuberculosis is deadly, it has been striking down people from more than 2600 years ago. The new autopsy of a mummy found in the early 19 th century showed the presence of the disease.